I read this book back in May, and the movie did not disappoint for me! There were more r-rated parts than I remember, but it was still so good! Girl time is a BIG favorite of mine! A few people emailed to ask about the jacket and scarf that I wore to the football game last weekend! It threw it on yesterday when I was having a messy bun/no makeup day, and it instantly made me feel out together! 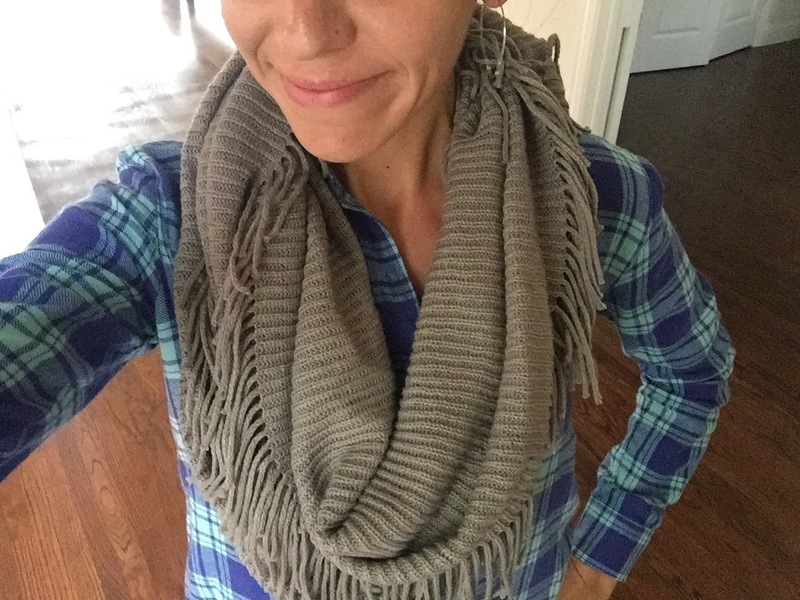 I think this scarf is going to be my favorite for this season! It is so versatile and the perfect color for Fall! Last month, I made the decision to start a Bible study in our neighborhood, and we meet for the first time today! We will be studying this book! These two were looking pretty sweet before school on Wednesday! Pumpkin porch pictures just make me happy! And, a themed newborn shot is defnitely my favorite! I visited this cute newborn’s home almost 3 years ago and set up this same shot with their older sister when she was just a newborn as well! I love a good family tradition, and I am so thankful to be part of this family’s tradition as well! That newborn picture might be the cutest thing that I’ve ever seen. What a good idea! Also, your front porch decor is beautiful! 🙂 Have a great weekend! That picture of Luke and Presley is just so cute!! Happy Friday! Love the scarf. Love the picture of the kids. Excited about bible study! I’ve done half of that bible study. It was really good. We just moved in the middle and there was complete chaos. I hope it goes well today! That is a great bible study. I don’t think you can go wrong with Beth Moore. Also, cute scarf! Family traditions are my favorite too!!! Super cute shot…even if they are longhorns. lol Can’t wait to see the movie…and to hear how you love this study!